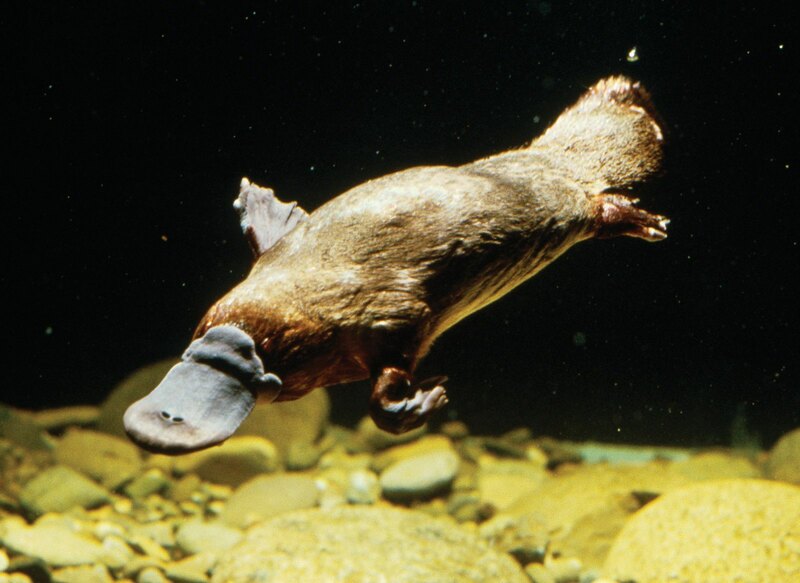 The duck-billed platypus is about the size of a pet cat. It has thick, waterproof fur all over its body (except for the feet and bill). The legs sprawl out to the side of the body, giving it a lizard-like walk. Males are venomous – they have a poisoned spike on their ankles which the platypus can use to kill small animals in self-defense. This carnivore (meat-eater) uses its bill to strain its tiny prey, like crayfish, worms, insects, snails, and shrimp from muddy water. It can store food in cheek pouches while it is hunting underwater.